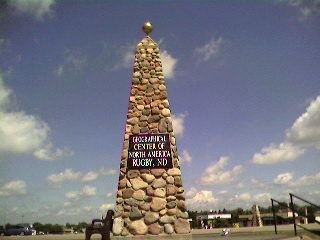 Passed the geographical center of north america -- Rugby, ND. Beautiful ride through farmland to rolling hills of eastern Montana. I'm in a quiet town where they roll up the sidewalks at 6pm.